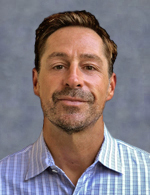 New to the CFS Jets team in October of 2018, Mike Skelly joins us with an impressive list of accomplishments, breadth of domestic and international expertise, and a reputation for skillful management of complicated transactions. Over his professional career, Mike has produced over $350 Million in sale and continues today as an accomplished executive in the aviation industry. Straight from college, Mike began his sales with a telecommunication company, selling service to small and medium sized companies. Within 3 months, he had reached “Tp Producer” status, and earned national recognition for his consistent accomplishments in any sales positions held. In his next position as an Executive Level VP status, Mike led the turnaround of a company losing millions of dollars each year to reaching consistent profitability, eventually procuring the sale of the company. Outside of the work place, Mike is an active member of the martial arts community and enjoys surfing. He strives to live a “balanced” life, and finds motivation in his two healthy boys and his loving, supportive wife.